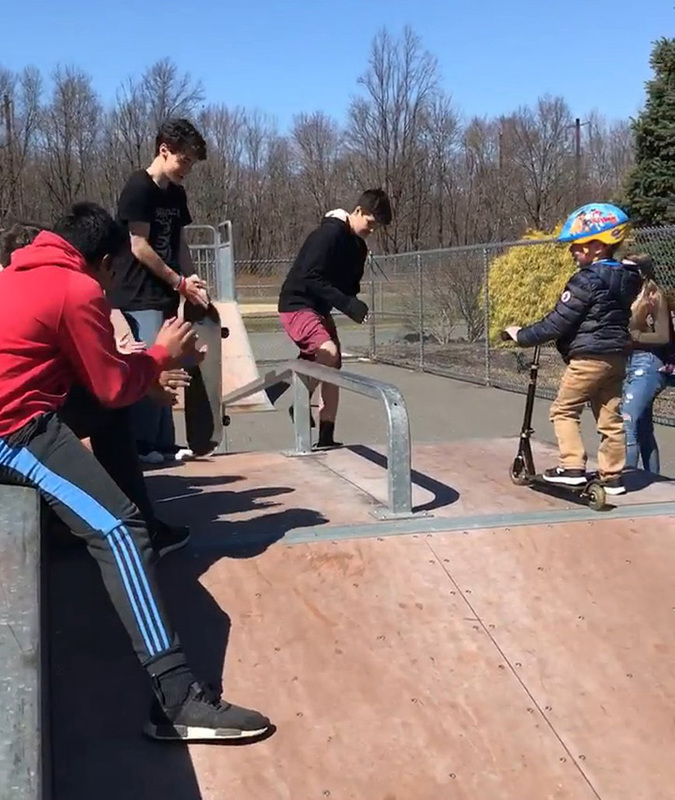 A group of teenagers in South Brunswick, New Jersey, taught a 5-year-old boy with autism how to ride a skateboard on his birthday. "Today is my son's 5th birthday and he has high functioning autism and ADHD and you would never know by looking at him that anything was going on. You also wouldn't know that the woman with us was his behavioral therapist. We went to the park behind the police station and he was in the skate park on his scooter and some older kids showed up. They were absolutely amazing with him and included him and were so beyond kind it brought me to tears. I caught a video of them singing to my son and one of the kids gave him a mini skateboard and taught him how to use it." "I can't even begin to thank these kids for being so kind and showing him how wonderful people can be to complete strangers. I bought them all ice cream to say thank you but it wasn't enough! Thank you to whoever these children are and thank you to their parents because you are doing a wonderful job!"